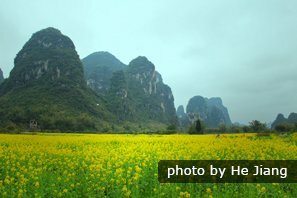 Location: in the north-east of China. Dalian — the "Northern Pearl" and summer resort of China — is also called &apos;the football city&apos; and &apos;the fashion city&apos; in China, and it is located at the tip of Liaodong Peninsula. To the east, is the Yellow Sea, and to the west is the Bohai Sea. 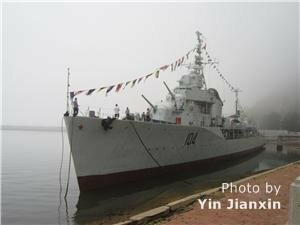 It is a major city and seaport in the south of Liaoning Province. Dalian is very popular among domestic tourists and foreign visitors, especially from Japan, South Korea and Russia. In 2007, it was one of the three cities named "China&apos;s best tourist city", along with Hangzhou and Chengdu, recognized by the National Tourism Administration and the United Nations World Tourism Organization. Dalian is a city which has a crazy enthusiasm for football, like Brazil. Since 1994, the Dalian team has won the first prize in the league matches eight times in China. Almost everyone in Dalian loves football and is proud of football. Dalian is also a famous fashion city. There is a saying that goes, "eating in Guangzhou, playing in Shanghai, while dressing in Dalian". Dalian hosts the Dalian International Fashion Festival every September. Dalian is a city with a great number of squares, the most in China by far. You will easily find one when you are in Dalian. It is said that a Russian designer who was keen on Paris laid out the whole structure of Dalian City, and then the city was built so that it resembled Paris. The architecture in Dalian has an international style. There are Roman ordered buildings, European domed buildings, Russian buildings, baroque architecture, Byzantine architecture, Japanese villa buildings and traditional Chinese buildings. These architectures are mainly assembled around Zhongshan Square, Lvshunkou area, Dongguan Old Street, Nanshan area and Russia Street. The environment in Dalian is very good. There are lots of parks and trees to guarantee the air quality. 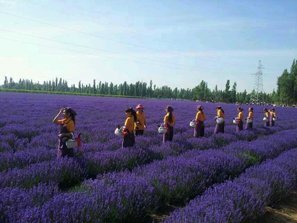 It is a garden city in the north-east of China. Dalian lies in a warm area in the Northern Hemisphere. It has an oceanic temperate continental monsoon climate with four distinct seasons. The average temperature is 10.5°C (50.9°F)， while the highest temperature is 37.8°C (100.04°F)， and the lowest is -19.13°C (66.43°F). The annual precipitation is 550-950 millimeters, and the annual sunshine duration is 2,500-2,800 hours. From the Dalian Chinese Scholar Tree Blossom Affairs (23rd May) and the Export Commodities Fair (16th and 18th May), to the Dalian International Fashion Festival in early September, hundreds of thousands of people visit Dalian during this period. After that, it is the low season. Dalian has a coastline of 1,906 kilometers (1,185 miles). The golden beach, silver beach, sea and sky all combine as one. 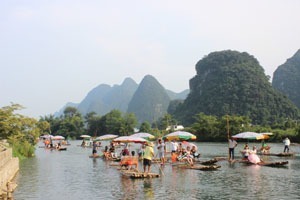 The beautiful scenery attracts many people every year. Tiger Beach, Xinghai Beach, Dalian Discovery Kingdom, Dalian Forest Zoo, Binhai Road, Xinghai Square, Shengya Aquarium, Laohutan Scenic Park, Dalian People&apos;s Square and Lushun Port. Dalian is convenient due to various modes of transportation, including airways, waterways, railways, highways, buses and taxis. There are high-speed trains from Dalian, Harbin, Beijing, Jilin, Changchun and Shenyang, and bullet trains to Tianjin. You can take one at Dalian Railway Station or Dalian North Railway Station. The maritime transportation of Dalian is very developed. Dalian Port has ship routes with over 150 countries and regions in the world. There are ships to Yantai, Weihai, Penglai and Tianjin Xingang Port every day. What is more, it also has regular ships to Inchon, Korea. Dalian Zhoushuizi International Airport has developed 145 airlines so far. Among which, 98 lines are for domestic cities and 47 are for other countries and special administrative areas. Dalian-Beijing: There are bullet trains (6-7 hours) and flights (about 1.5 hours). Dalian-Shenyang: There are high-speed trains (about 2 hours). Dalian-Harbin: There are high-speed trains (3.5-4.5 hours) and flights (about 1.5 hours). From 05:00 to 22:00, the starting price of a taxi in Dalian is 8 yuan for the first 3 kilometers (1.9 miles); after that, you&apos;ll be charged 2 yuan per kilometer. From 22:00 to 05:00 the next day, the starting price is 10.8 yuan for the first 3 kilometers (1.9 miles). After that, you&apos;ll be charged 2.34 yuan per kilometer. The public bus is very convenient in Dalian too. It charges 1 yuan or 2 yuan, depending on the exact bus route. The taxis with blue tops are run by the state, white tops are run by groups or jointly, while yellow tops are privately owned. Most people who live in Dalian are the descendants of the Shandong people, so the Dalian cuisine is called Lu (abbreviation of Shandong Province) Cuisine. The principal ingredient is seafood. The well noted dishes are Sizzling Grilled Squid, Red Roasted Whole Shrimp, Steamed Lantern Abalone, Multicolored Snowflake Scallops and Salted Fish Cake. Wanbao Seafood Restaurant is one of the best seafood restaurants in Dalian. Barbecue Street: There is a barbecue street near Station Square where you can sample a lot of delicious food. 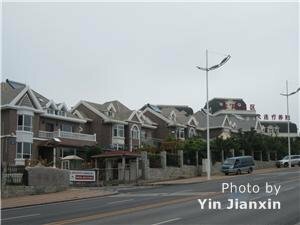 Tips: If you wish to eat seafood in Dalian, please avoid visiting in July and August. That is the period of bat hidden. During this period, no fresh seafood is available. When you eat seafood or have a barbecue in summer, please eat some garlic to avoid getting an upset stomach. As Dalian holds a lot of exhibitions and fairs every year, and is also the top popular tourist city in China, it receives business people or tourists from all over the world every day. To cater to its customers, Dalian has built a great number of hotels of different standards. If you need any tour services, hotels or flight bookings, please feel free to contact us, as we look forward to having the opportunity to help you.